Ever think about going on a diet? Or, going a step further, have you considered changing the way you eat altogether? It’s not an easy feat to accomplish. Our eating habits are exactly that: habits. And habits are hard to change. Plus, there’s this problem: living a healthier style means all but giving up the candy you’ve grown to love. We’re all for healthy living, but does it have to be without candy? Thanks to some enterprising and healthy bloggers, we can answer that question with a definitive no. These 11 recipes are not only deliciously sweet, but also quite safe for healthy eaters. 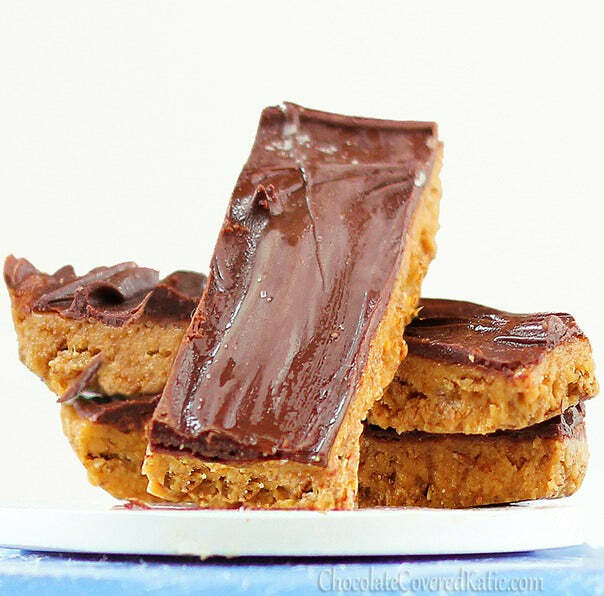 You can’t down a batch of the natural Butterfinger bars for dinner, of course. But you can enjoy a bit as a snack later in the evening. Who knows? Maybe these recipes can help you stick to a new diet. Butterfinger bars just seem like the unhealthiest candy. Who even knows what makes up the candy core? And yet, has that stopped anyone from chomping down on a Butterfringer bar? We think not. It’s nearly impossible to resist that crunchy gooeyness. 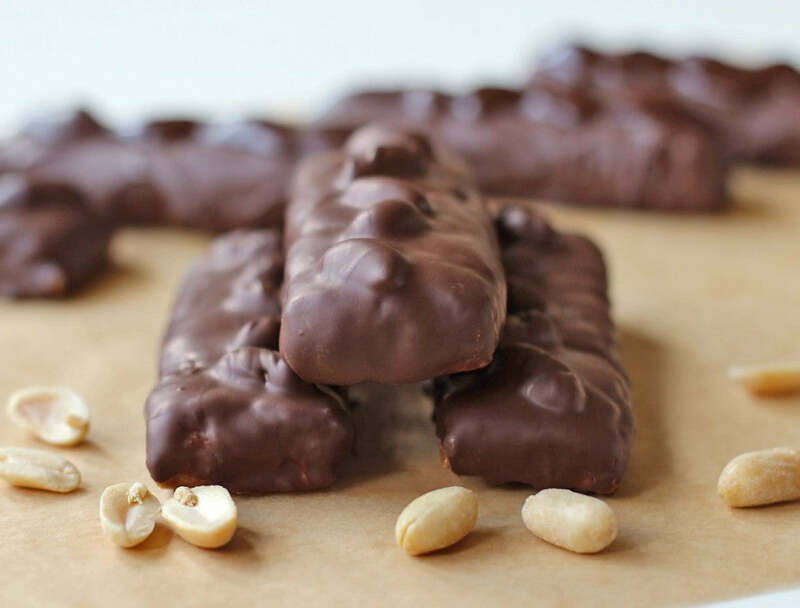 If you want to feel a bit less guilty when enjoying the ambiguous peanut-buttery goodness, you can try out this recipe from Chocolate Covered Katie. Her recipe is actually quite flexible, allowing you to substitute honey for agave, remove the molasses, or use any kind of nut butter. But trust us: use her recommended ingredients. You’ll still get a healthy dose of sugar, but you’ll also know what composes that gooey, peanut-buttery core. Get the recipe: Chocolate Covered Katie. Making healthy peanut butter cups might seem easy, but for the typical American household it’s not that straight forward. The problem is the peanut butters we stock. Look, we like creamy Skippy as much as the next person. But let’s face the reality that it’s brimming with sugar. One solution is to use natural peanut butter. But even that can be sweetened. The real solution is to try the creamy alternative: almond butter. It’s not quite as sweet as peanut butter, but when you mix it with chocolate is anyone really paying attention to those minute details? Beth from Tasty Yummies walks us through this healthy alternative to everyone’s favorite candy to get on Halloween. We see here a theme that Katie showed us with the Butterfinger bars, and that many others will also use: homemade chocolate. There are a few ways to do this, but whatever your choice it’s better than straight up melting chocolate chips. Check out the recipe: Tasty Yummies. As a kid I often felt like a nut, but still opted for Mounds bars over Almond Joy bars. There was just something about the combination of dark chocolate and coconut. An almond just seemed to get in the way. As I grew older, Mounds bars seemed even better. Dark chocolate (in moderation) is healthy. Coconut is healthy. And yet, Mounds have plenty of sugar and, like all candies, are highly processed. I’d still enjoy them, just not on any kind of regular basis. That is, until I found a number of homemade Mounds bar recipes that take advantage of real ingredients. Take this one from Elana’s Pantry, for instance. You won’t find anything unnatural here. All you’ll need is some shredded coconut (unsweetened, of course), coconut oil, honey for sweetener, and chocolate chunks. Might I add the recommendation to go with as pure and dark a chocolate as possible? The honey and coconut are sweet enough for the whole Mounds bar. You can afford the bitterness of 85% chocolate. Get the recipe: Elana’s Pantry. While Butterfinger bars seem unhealthy because of the ambiguous ingredients, Twix bars seem unhealthy for pretty obvious reasons. It starts with the sugary chocolate cover. Then there’s caramel, pure sugar, and finally that cookie. 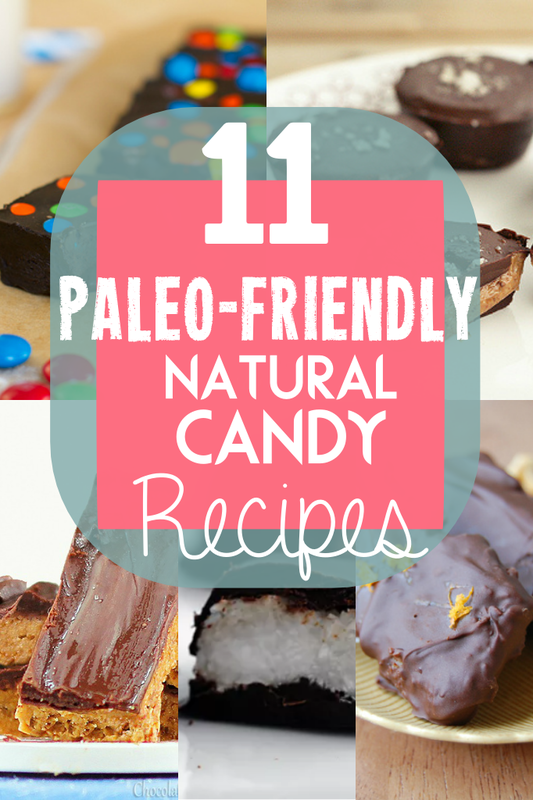 So when we saw the words “paleo” and “Twix” next to each other, we did a triple-take. This recipe from Living Healthy With Chocolate is not only delicious, but it also teaches some fundamentals about Paleo. It starts with the cookies. Instead of using cookie dough, you’ll make your own “dough” with almond flour and arrowroot powder. The sweeteners? Vanilla extract and raw honey. The fats? Coconut oil, of course. Or, if you’d like, butter. You will have to wait many hours for this recipe to come together, especially since there is baking and setting involved. But these treats are 100 percent worth the time and effort. Get the recipe: Living Healthy With Chocolate. Chances are that even if you don’t go to the gym, you’re familiar with protein bars. As someone who has consumed many, let me tell you that they are universally disgusting. Most taste like dirt. The ones that do taste good are packed with sugar and unhealthy fats. And that’s just the surface stuff. Most of the bars are heated, which reduces the effective protein. The point: don’t buy protein bars. If you can make them, though, you might want to take that opportunity. 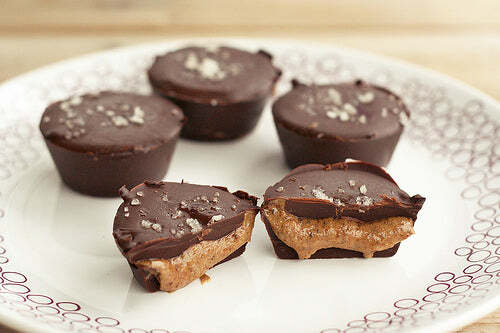 If you can make them taste like Snickers, well, then you’d be a fool not to. Jessica at Desserts With Benefits walks us through these bars that she doesn’t call Snickers, but we all know that they are. There are certainly some interesting ingredients in here, but the result is something that looks and tastes like a candy bar. Jessica uses vanilla brown rice protein powder, but that’s not totally necessary. If you want the highest grade protein for these bars, go with hemp protein. It’s expensive, but it’s a complete protein that doesn’t have the negatives of whey. Otherwise, rice protein works as well as any other vegetarian version. Get the recipe: Desserts With Benefits. Candy can be great, but sometimes we want a huge hunk of the pure thing: chocolate. As you might imagine, most chocolate is off limits if you’re living the healthy lifestyle. But as we’ve seen with many recipes already, there are ways of making your own chocolate that is infinitely healthier than what you’ll find in the store. Caroline of Chocolate and Carrots starts with a base of coconut oil, honey, and Hershey’s special dark cocoa powder (a personal favorite). She then adds almond butter to create a wonderful dark chocolate fudge. The accoutrement: M&Ms. No, they’re not suddenly healthy. But they’re probably not going to hurt, and you can omit them if you’d prefer. This is actually a guest post of Caroline’s, which you can find at Texanerin Bakin. Find Caroline at Chocolate and Carrots. Here’s some advice I’ve picked up over the years: if you’re going to buy Sour Patch Kids, buy the smallest pack available. Why? Because if you’re anything like me you’ll eat every single one, even if you bought 10 pounds’ worth. That is a lot of sugar, combined with who knows how many artificial ingredients. We know now that fruit juice isn’t all that healthy, but it’s also not the worst thing you can drink. Using it as the only sweetener in a sour gummy candy sounds like a ripe idea. 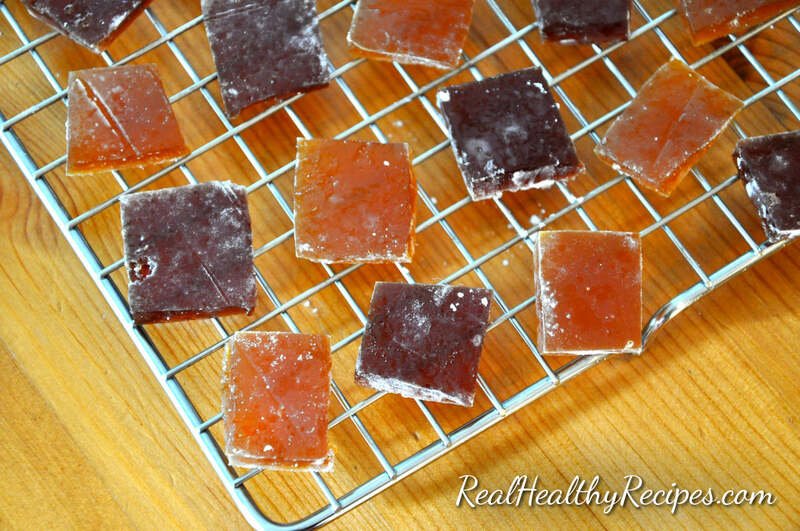 Diana from Real Healthy Recipes had a challenge in front of her to create sour gummy candies in a healthy way. Her results are astounding. These treats don’t look like the gummy candies you see in bags, but they’re also healthier by leaps and bounds. And truth told, they taste delicious. The sweetness from the fruit juice — 100% fruit juice, make no substitution — is just enough. The coconut nectar is an interesting ingredient we hadn’t seen elsewhere. Get the recipe: Real Healthy Recipes. Apparently we missed National S’Mores Day earlier this month. That’s a shame for a few reasons, not least of which is that this awesome paleo marshmallow recipe would have made it even better. The good news: you don’t have to wait until next year to celebrate National S’Mores Day. It can be tomorrow, if you so choose. 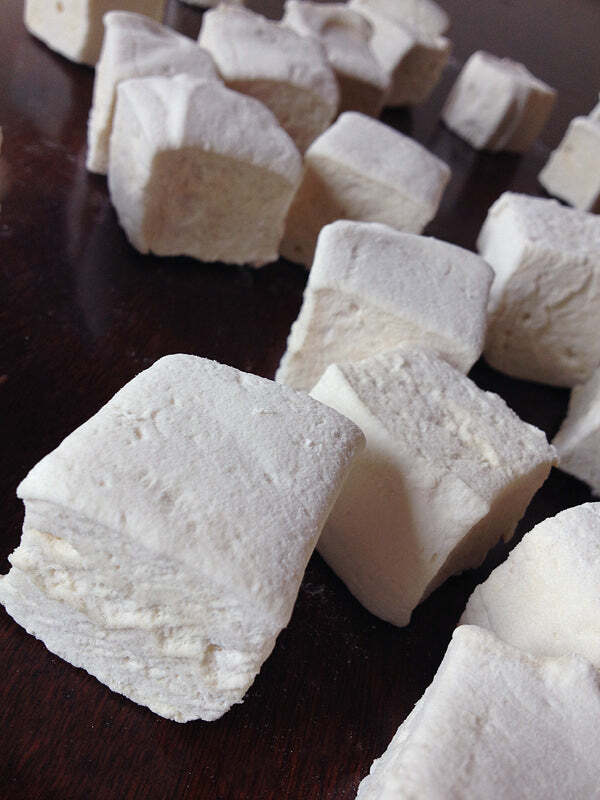 Marhsmallows might seem decidedly not paleo, but with this kind of recipe they can work. Here’s a unique ingredient: grass fed beef gelatin. You’ll also use arrowroot starch to make the outsides of the marshmallows not sticky. Once you’re done you can throw them in a s’more, or you can just pop them in your mouth. Kendra of Our Paleo Life coated them with chocolate, which we highly recommend. Get the recipe: Our Paleo Life. Caramel. There’s another treat that mostly goes out the window when you’re moving to a healthier diet. So sad. Seriously, you didn’t think we’d finish this list without going into some healthy caramel, now would you? A few of the above recipes use something similar to this, but it absolutely deserves its own space. The crazy part is that it requires just two ingredients: butter and honey. We prefer Kerrygold butter, since, like the gelatin above, it comes from grass-fed cows. Add equal parts of each, and cook it for a bit. Then you have options. 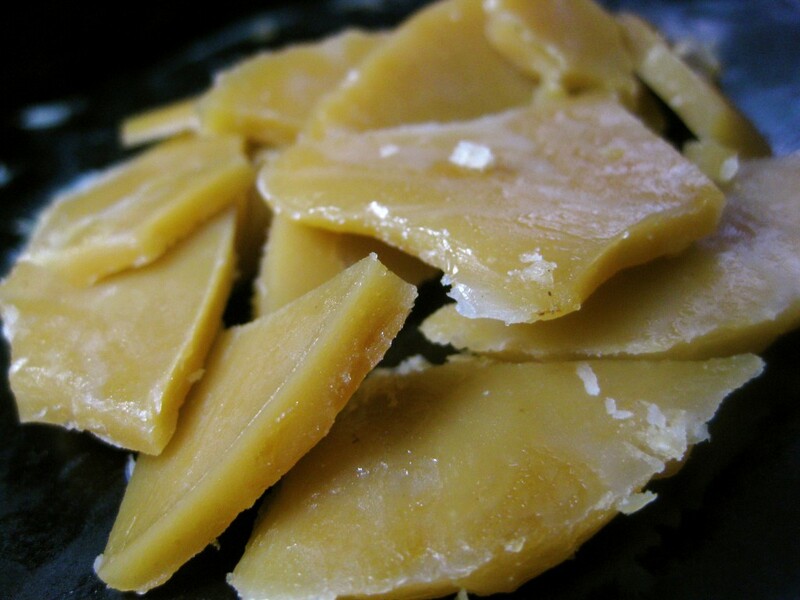 You can pour it onto a plate and get caramel pieces, like you see in the picture. Or you can get a bowl of nuts and drizzle that caramel, along with some sea salt, all over those crunchy things. Both ways are the right ways. Get the recipe: Butter Believer. What is that white stuff inside Peppermint Patties? It’s kind of like a Butterfinger bar in that way. We eat it, despite having no real idea of what’s inside it. 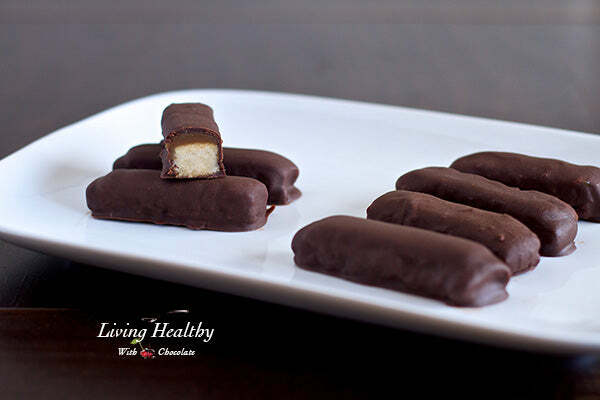 Of course, Peppermint Patties and Butterfinger bars differ in just about every other way. Yet each is delicious. 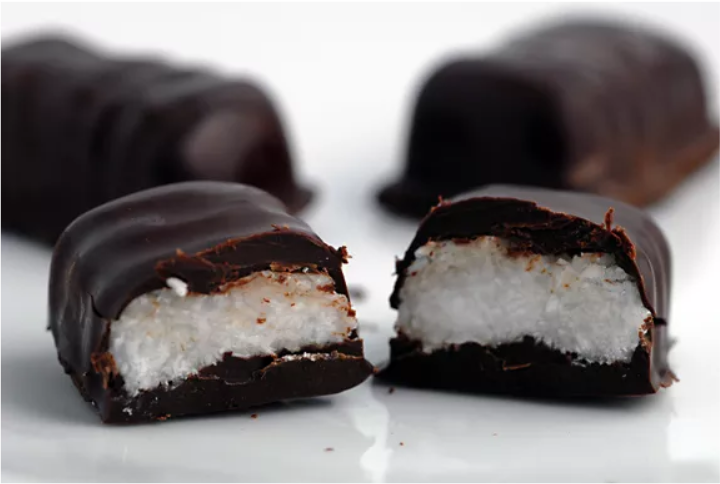 These paleo Peppermint Patties are quite like the Mounds bars above, in that they involve honey, coconut oil, shredded coconut, and dark chocolate. But Alyssa at Everyday Maven adds a few key ingredients that make these patties pop. For starters, you better bet there is peppermint extract involved. A whole teaspoon’s worth, which is a lot in extract parlance. You’l also see some vanilla extract here, along with a little sea salt — which might not seem like much but adds a nice little punch. Get the recipe: Everyday Maven. 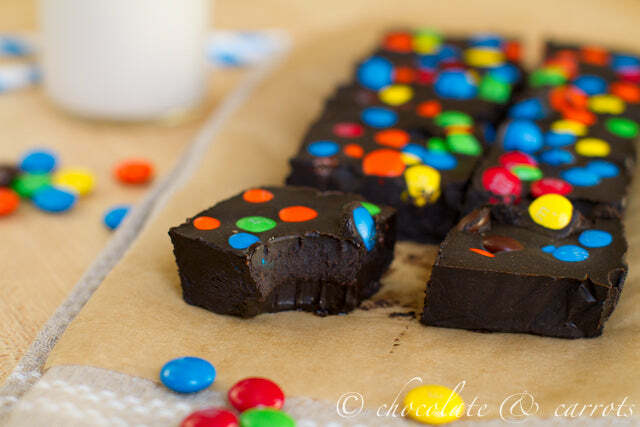 We end with a candy bar that you won’t find in stores. It’s not a copy, so much as a masterful original. Honestly, there’s nothing better. To make a healthier version of a popular candy is noble. To create a whole new candy, which is itself healthy, is divine. 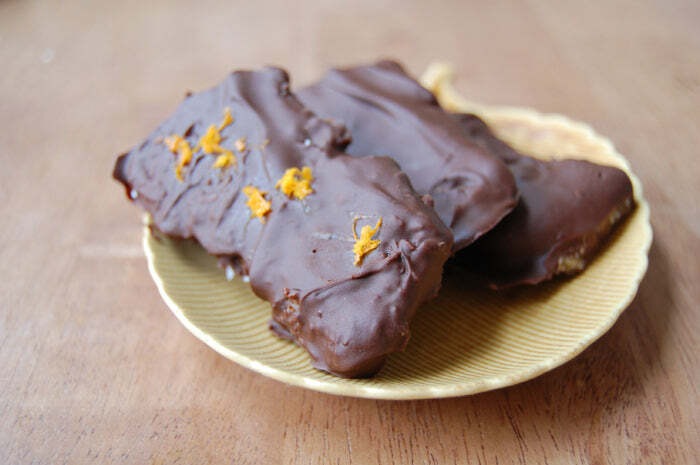 Kimi at The Nourishing Gourmet really delivers with Nature’s Candy Bar. The key ingredient here: coconut date rolls. The combined sweetness of the dates with the coconut makes this bar delectable before you even get to the chocolate. (You can also make your own coconut date rolls.) After that you’ll just need some dark chocolate and coconut oil. Kimi grates on some orange zest, which sounds just perfect to garnish this treat. Get the recipe: The Nourishing Gourmet.